There is quite a bit of difference between all the different android versions so the process on your phone may vary from the below example. 1.From the Applications menu, select Email. This application may be named Mail on some versions of Android. 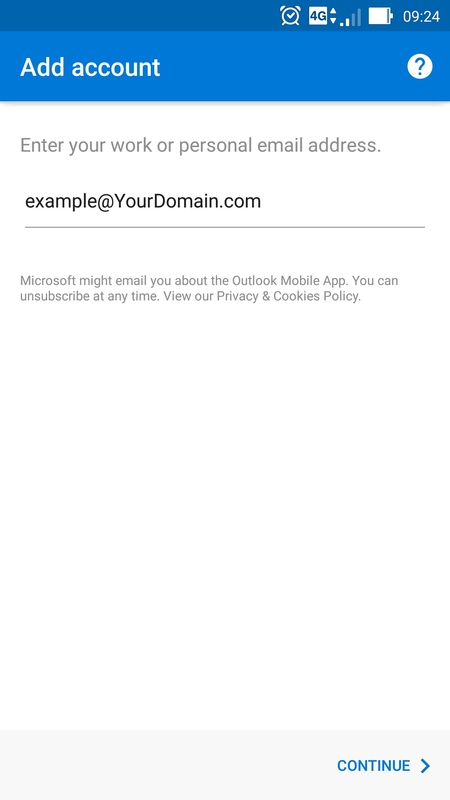 2.Type your full email address, for example, example@YourDomain.com, and then select CONTINUE. 3.Select Exchange account. 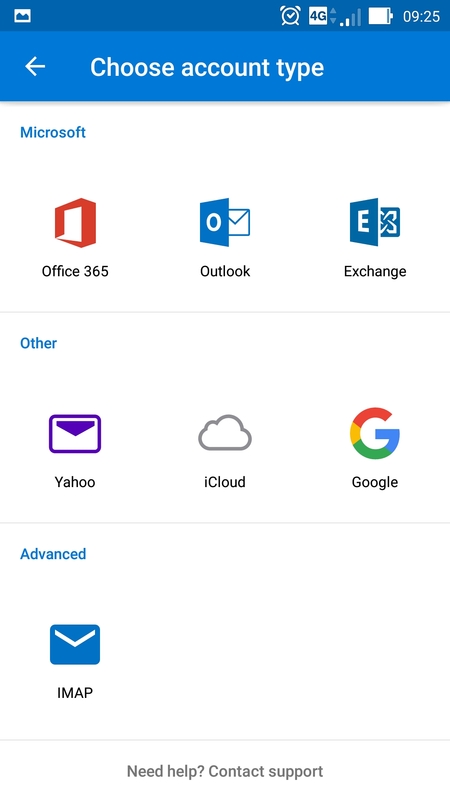 This option may be named Exchange ActiveSync on some versions of Android. 4.Enter the following account information and your password, select Next or "tick". 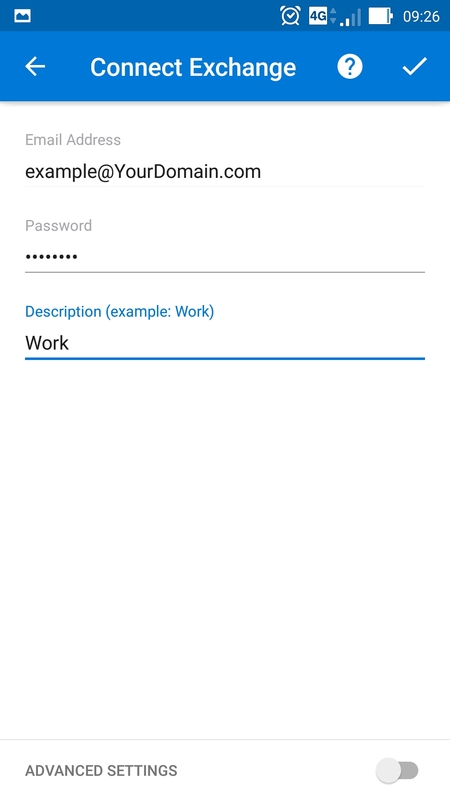 Domain\Username Type your full email address in this box. 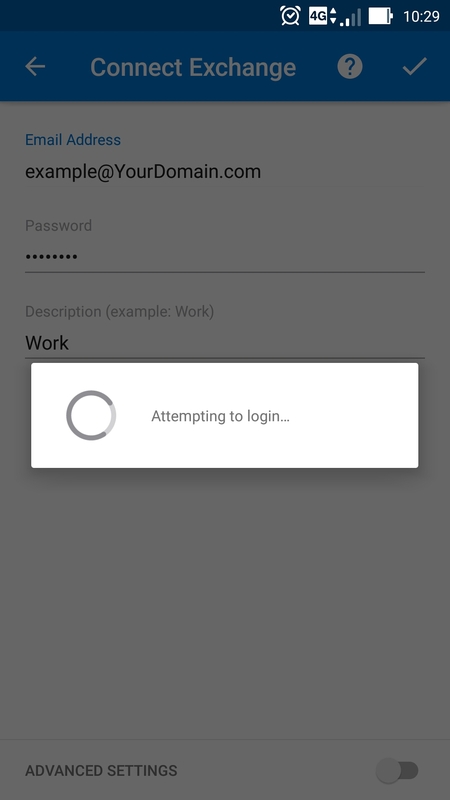 If Domain and Username are separate text boxes in your version of Android, leave the Domain box empty and type your full email address in the Username box. Note, On some versions of Android, you must use the domain\username format. For example, if your email address is example@YourDomain.com, type YourDomain.com\example@YourDomain.com. Your username is your full email address. Email checking frequency The default value is Automatic (push). When you select this option, email messages will be sent to your phone as they arrive. We recommend only selecting this option if you have an unlimited data plan. Amount to synchronize This is the amount of mail you want to keep on your mobile phone. You can choose from several length options, including One day, Three days, and One week. Notify me when email arrives If you select this option, your mobile phone will notify you when you receive a new email message. Sync contacts from this account If you select this option, your contacts will be synchronized between your phone and your account. 6.Select Next and then type a name for this account and the name you want displayed when you send e-mail to others. Select Done to complete the email setup and start using your account. Note You may need to wait ten-to-fifteen minutes after you set up your account before you can send or receive e-mail.